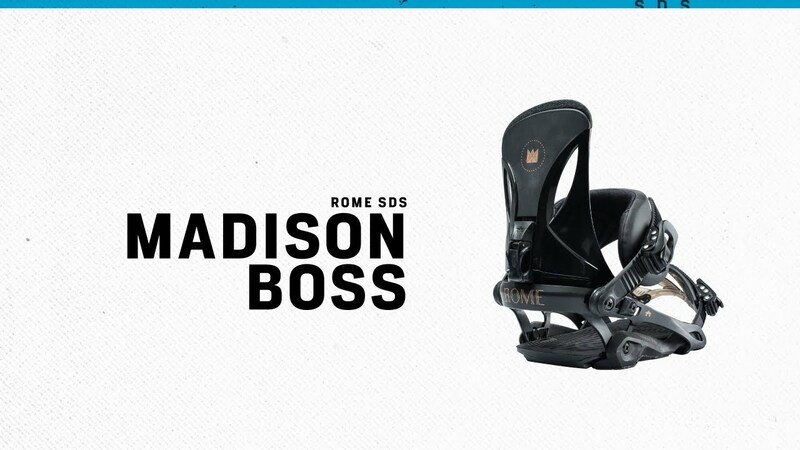 In our family of UnderWrap bindings, the Madison Boss gives women riders the full, four-point UnderWrap architecture for a little extra toe-to-heel power to go with the smooth side-to-side flexibility. The Contour Boss ankle strap and women-specific highback increase comfort while giving riders the power transfer that they need from their bindings. The result is a perfect combination of flex, power and comfort for exploring the mountain from the summit to the base lodge.